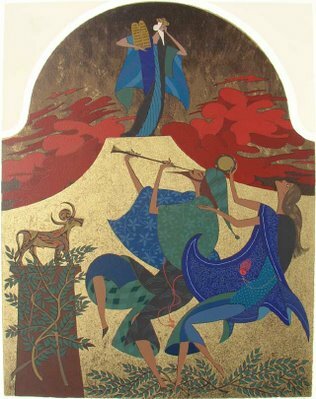 There is another very stylized collection of biblical lithographs found in the Shlomo Katz Gallery. This is a commercial artist who portrays his characters with slender, angular forms. Let's put it this way, it's not quite Botero!